We are so very sad to announce the passing of Rory O’Donoghue. He died in hospital on December 13 2017. Many of you knew Rory as an incredible musician, a great athlete and a wonderful teacher. To us he was the most amazing and precious Dad, Grandpa, partner, son, brother, uncle and friend. We are devastated and will miss him deeply. We are organising a memorial service and will update you on the details here. Thank you for all the messages of love and support. They have been greatly appreciated. 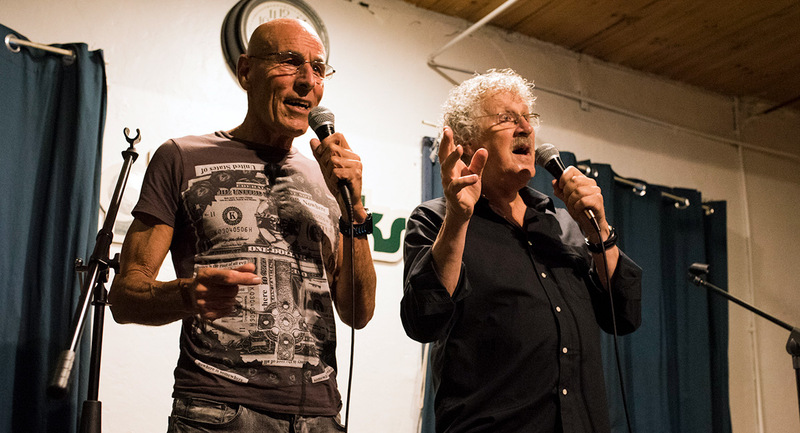 It was only several weeks ago that O’Donoghue performed alongside his longtime collaborator Grahame Bond at his Sydney book launch at Gleebooks. O’Donoghue seemed in good spirits at the event and speaking with Mediaweek after performing several songs he revealed it would be close to a decade since he and Bond last performed together in public during a two-man show they took around the country. 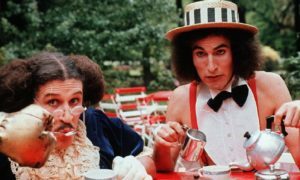 O’Donoghue is best remembered by many for his portrayal of the character Thin Arthur in the 1970s ABC comedy series The Aunty Jack Show. On a new Mediaweek podcast we are publishing today with Grahame Bond, he talks about his partnership with O’Donoghue and how fit he was and how he still competed in iron man events at the age of 68. 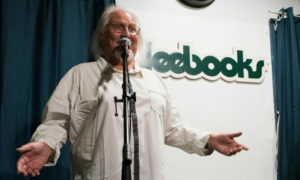 Above: Rory O’Donoghue with Grahame Bond onstage at Gleebooks last month. Photo for Mediaweek by Simone Fisher.